“One of the sad things in Australia right now is that there are not enough ex-CMOs on listed company boards,” Stuart told CMO Australia at a Sydney launch event for the NRMA startup accelerator, Jumpstart. “We have too much around compliance and governance and not enough around revenue generation. Good CMOs are ultimately looking to generate incremental revenue for a company, which is the lifeblood of a company. Stuart comes from a creative marketing background and carries that interest into his job as chief executive. NRMA’s Jumpstart, a 12-week program offering $30,000 and a workspace to each successful startup applicant, is intended to bring innovative new services to NRMA members, but Stuart said there is a marketing aspect to this as well. 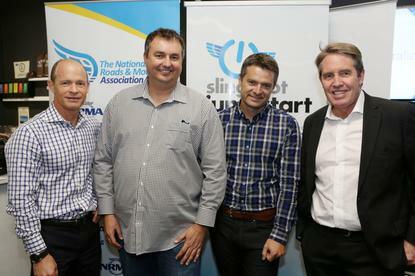 Stuart indicated that the Jumpstart program will help NRMA reinvent its 94-year-old brand for the 21st century. The business is also spying a possible expansion of its roadside assistance program for the modern age. Stuart believes NRMA is well placed to enter that space as a trusted neutral brand.